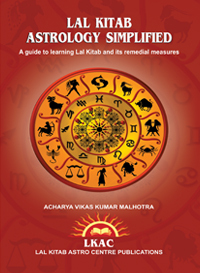 • Lalkitabastro.com provides astrological consultations to customers based on their birth data against the conditions of this agreement, and by clicking at the "I agree with terms and conditions" client's acceptance is signified for all the conditions of this agreement. • All the consultations offered by us are based purely on astrology principles which are subject to different interpretations by individuals in a different manner. Lalkitabastro.com does not make any warranty on the accuracy of such interpretations. They thus have no legal or contractual significance. • All the information received by lalkitabastro.com relating to customer profile and data with email id and telephone number would be kept secret and no disclosures would be made to anyone except where required by existing or future laws. • The consultation reports would be mailed after receiving payment in advance and lalkitabastro.com would not be responsible for delay or absence of mail to the client. • Lalkitabastro.com has the right to terminate any service and consequently refund any money received without assigning of any reason. It has the right to modify, alter or discontinue the service with or without notice to the client who may in turn accept the revised terms or opt for refund of money. • The client undertakes to maintain complete secrecy of all the consultation reports and other information which must not be disclosed to anyone. The client would indemnify lalkitabastro.com, its owners and employees for any claim or demand including the fees of hiring and paying lawyers. All the disputes would be subject to jurisdiction of Delhi courts only. 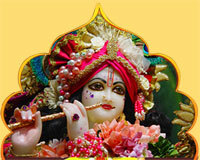 • Customer hereby agrees to take astrological or other consultations at his own risk and no contractual or legal liability arises against lalkitabastro.com for such consultations. Lalkitabastro.com disclaims expressly all the warranties whether they are implied or contingent for making use of such consultations and incurring loss or loss of profit in any manner.